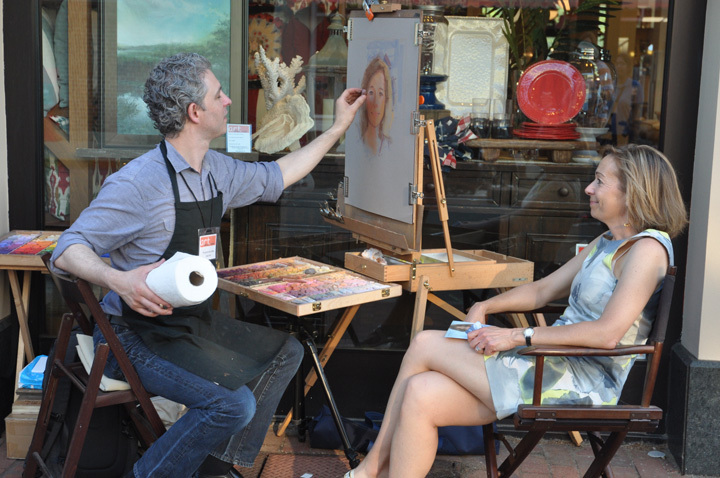 Westport's Art About Town kicked off with an opening night street party Thursday night, May 30. 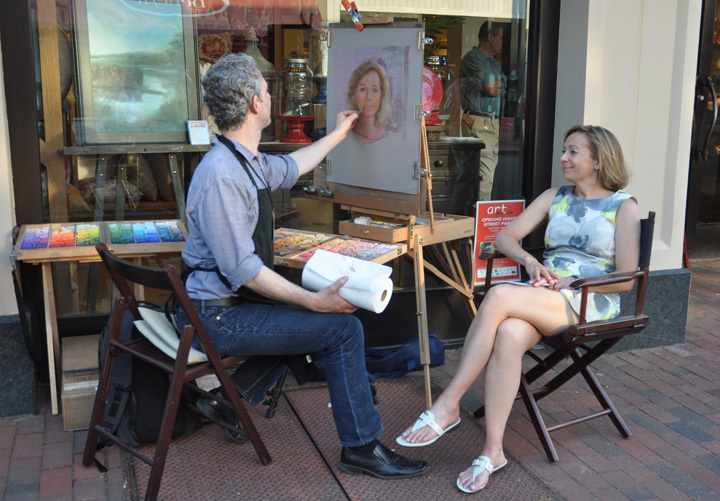 I had a wonderful time painting live pastel portraits on the streets of downtown Westport. With all the hustle and bustle of the crowd, the excitement of artists painting, live dance performances and music, it really was an amazing experience.